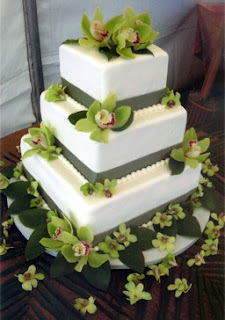 Gorgeous white wedding cakes pictures of wedding cakes with square cake tiers and decorated with fresh green orchids. 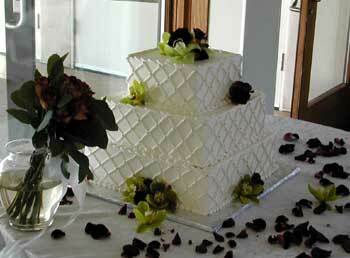 Three tier square white wedding cake with lattice texture and gorgeous green orchids. 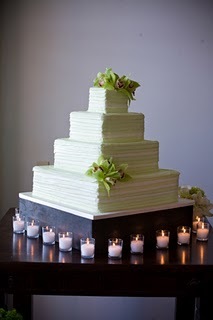 Four tier square green and white wedding cake with green cymbidium orchids. 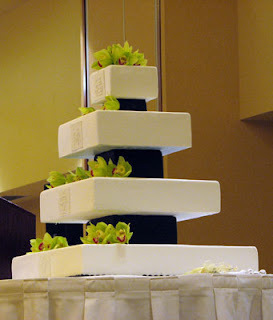 Three tier square wedding cake with beautiful exotic green orchids and dark green ribbon at the base of each tier. 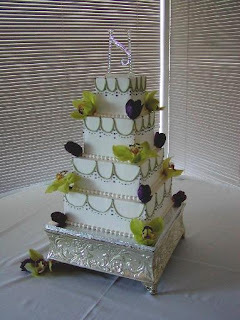 White wedding cake in white with four square tiers, decorated with green orchids and dark tulips. 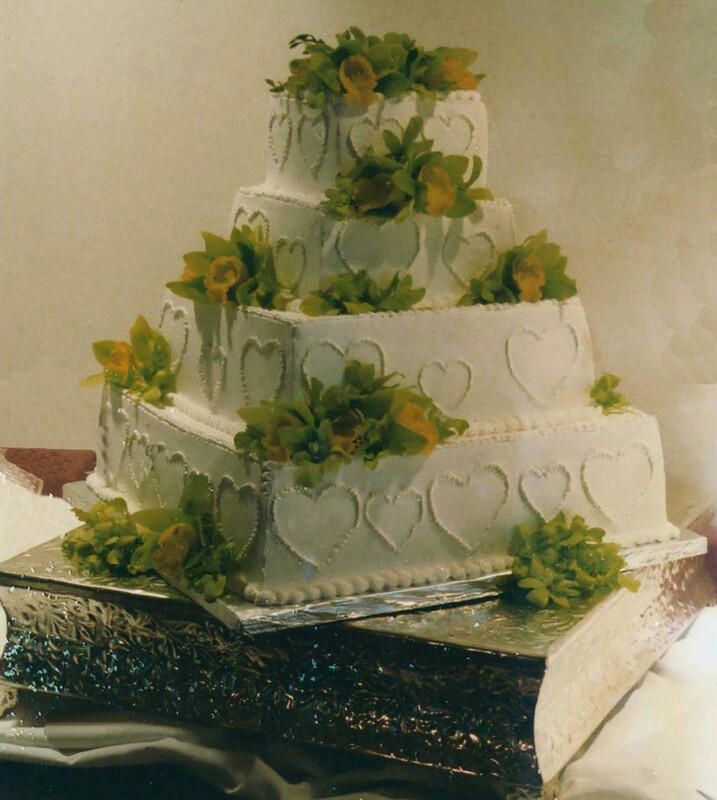 Four tier cake in white with heart textured icing and clusters of green orchids. 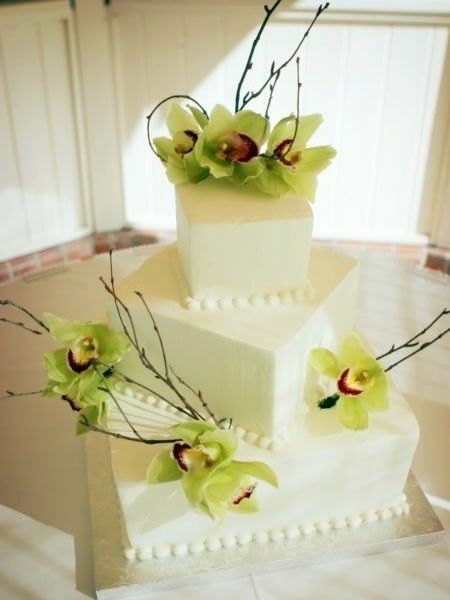 Simple pure white three tier square cake with wild green orchids. Four tier square white wedding cake with fresh green orchids. Seven fondant finished cascading tiers remenscent of a Pagoda was finished with fondant Kanji plaques and fresh orchids.